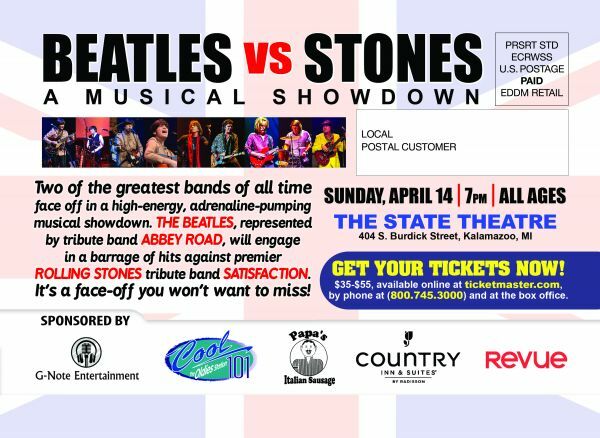 Listen to Cool 101 to win tickets to see Beatles Vs Stones at the State Theatre in Kalamazoo! You never know when your next chance to win tickets to sporting and special events, concerts, movie passes, food and other great prizes will be. So be sure to keep your radio and computer tuned to Kalamazoo's True Oldies Station COOL 101. It Just Might Be Right Here!! Be sure to visit our website regularly. You never know when a special contest just might appear.